Drastically reduced. Motivated Sellers. NORTHWEST FACING. 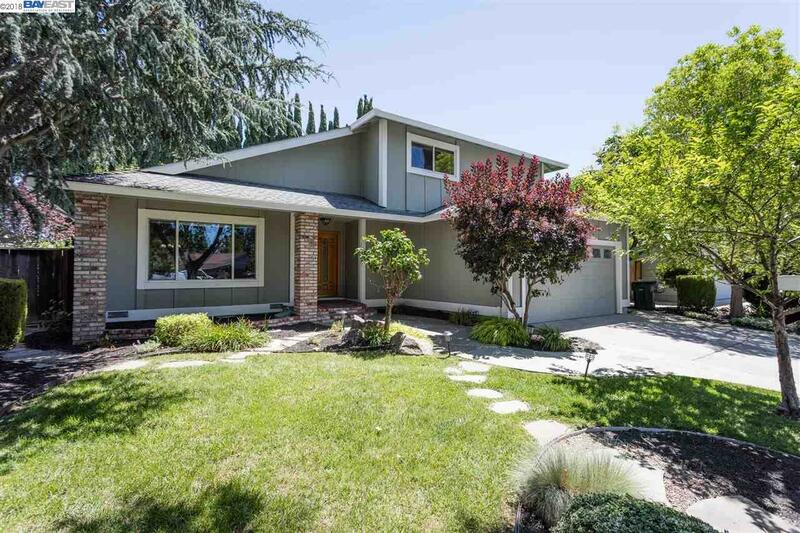 This upgraded Pleasanton Meadows home has a bed and full bath downstairs. The home is located in close proximity to Fairlands Elem, the Community Pool and Cabana Club, Parks, Trails, Tennis and Shopping. Residents attend Hart MS and have a choice of Amador or Foothill HS. The eat in kitchen has granite counters, updated appliances, laminate flooring, a greenhouse window and a dual stainless steel sink with upgraded fixtures. There is a formal dining room and a separate family and living rooms. The master suite has dual vanities with granite counters and a make up table, stall shower and a walk in closet with added storage. There is wainscoting, recessed lighting, vaulted ceilings, dual paned windows and ceilings fans throughout. There is park like yard with a covered patio and mature foliage including numerous fruit trees and magnificent Italian Spruce., a hot tub a koi pond and new ground cover. BART is nearby.